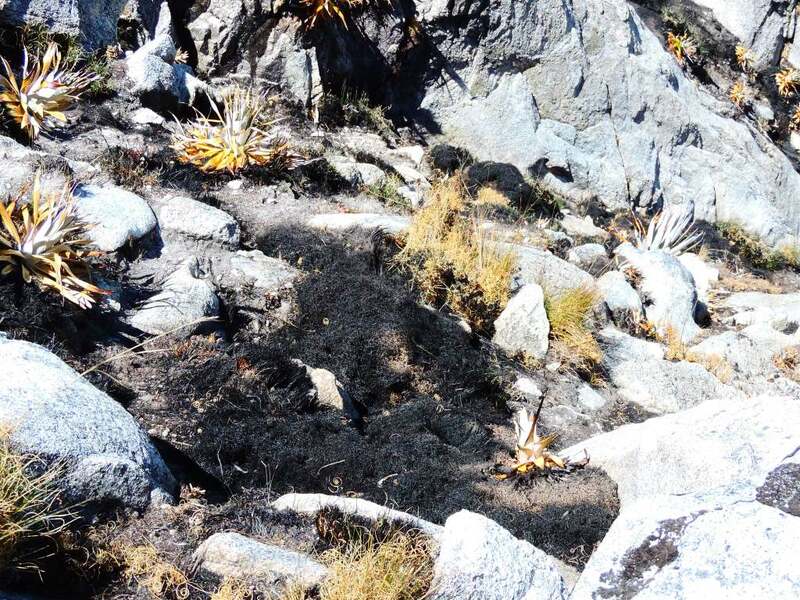 An intense and prolonged dry season in the Sierra Nevada de Santa Marta combined with fires set by Kogi indigenous people for agricultural purposes has devastated its fragile high-elevation habitat (páramo), home to a suite of endemic plants and animals. Two conservationists Carlos Julio Rojas and Christian Vasquez who work at ProAves’ “El Dorado” nature reserve in the mountain range, carried out investigations to document the fires. 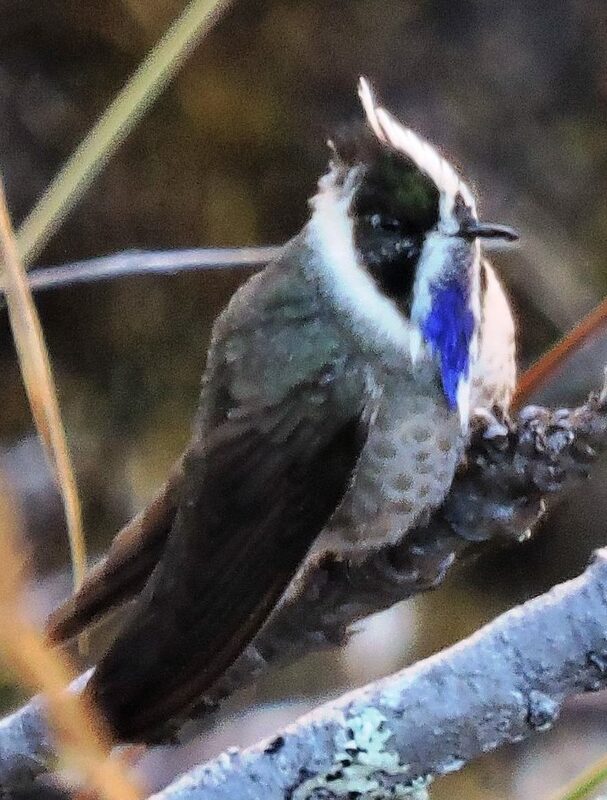 On March 4th 2015, the photographed the spectacular Blue-bearded Helmetcrest – a hummingbird that was last seen in 1946 and feared quite possibly extinct. Unfortunately, the habitat of the three birds they saw is threatened by ongoing fires. A scientific article detailing the rediscovery was published today in the journal Conservación Colombiana and is available online at www.proaves.org with further photos. Over the past ten years, searches for the charismatic Blue-bearded Helmetcrest failed. Last year it was pronounced “Critically Endangered” by IUCN and BirdLife International and considered perhaps to be extinct. The species is dependent on stunted forest and bushes amongst natural páramo grasslands – habitat that is highly susceptible to fires during the dry season. 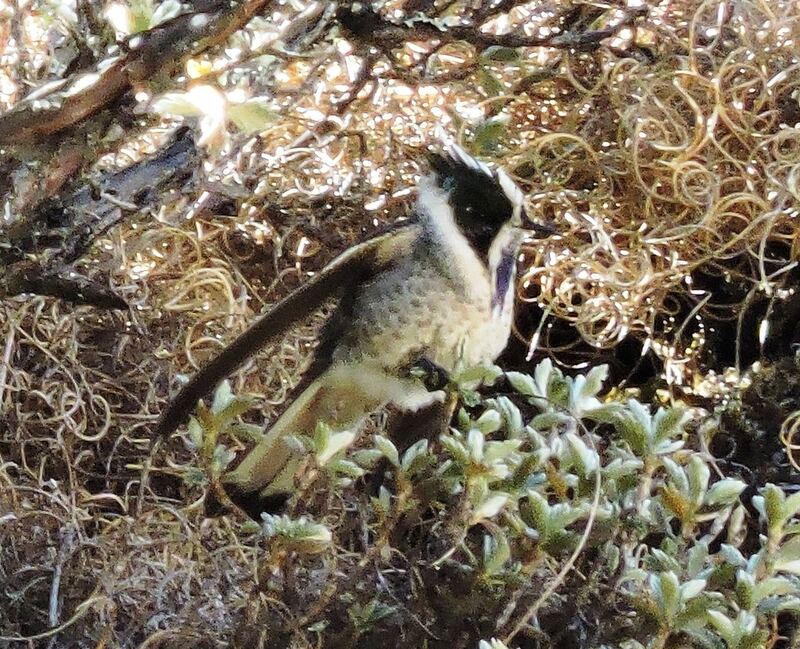 The situation is even more difficult because the flowering plant the Helmetcrest depends on – the Santa Marta Frailejon (Libanothamnus occultus) – is itself threatened by persistent fires and has also been declared Critically Endangered. 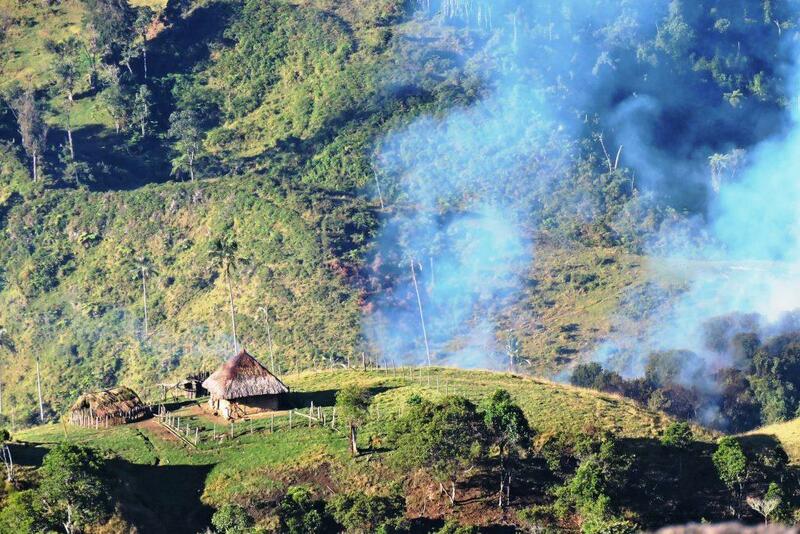 In 2013, according to a WWF report the páramo of the Sierra Nevada was being seriously affected by extensive cattle herds belonging to indigenous communities who repeatedly burn it for pasture. The highest elevations of Sierra Nevada de Santa Marta were declared a National Park in 1964. Fifteen years later, in 1979, the park was declared a UNESCO Biosphere Reserve. Several indigenous reserves cover the mountain range, and some 50,000 indigenous people, mainly of the ethnic groups Kogi and Arhuacos, live in the area. In 2014, the journal Science published an article that identified the Sierra Nevada de Santa Marta National Park as the world’s most important protected area for the conservation of threatened terrestrial species – rated first across over 173,000 protected areas worldwide. A scientific article detailing the discovery was published today in the journal Conservación Colombiana and is available online at www.proaves.org. Over one million inhabitants in the dry, arid lowlands around the Sierra Nevada depend on the filtration and provision of water from its páramo ecosystems. Further degradation of the páramo for livestock production not only endangers the survival of the Helmetcrest, but could also result in future severe droughts impacting over a million people in the region. Hopefully, Colombian conservation entities, the National Parks authority, and the Kogi indigenous peoples can work together with Fundación ProAves to better protect the future of the Sierra Nevada de Santa Marta – the planet’s most irreplaceable mountain for both people and biodiversity.